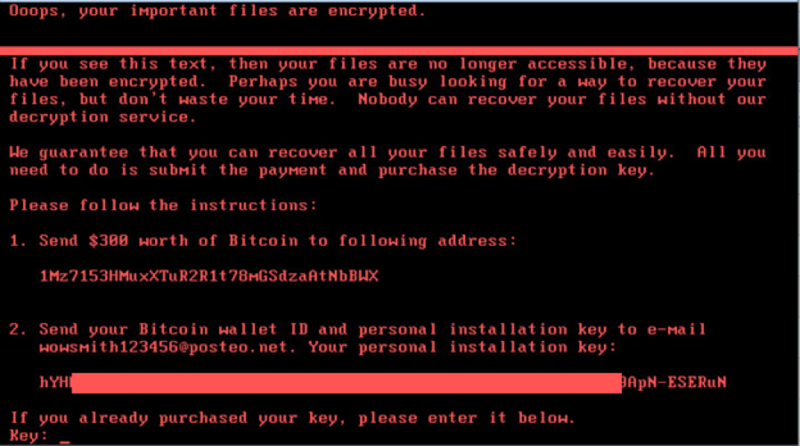 During the last 12 hours, a new ransomware campaign is causing mayhem in what appears to be a one of the most catastrophic and aggressive ransomware attacks ever seen. As an alternative measure, it can also cause a blue-screen-of-death (BSoD) to force a restart using the undocumented NtRaiseHardError Windows API. However, unlike other ransomware attacks that encrypts all your file data, this ransomware hijacks your entire machine at the operating system level, rendering it unusable to run any programs. Minerva’s Anti-Evasion platform prevents Petya’s malicious code injection attempt, thwarting the entire attack before any damage is done. Minerva’s technology deceives the malware regarding its ability to interact with other processes and denies its access to memory, credit card data and other sensitive information. This approach is effective against a variety of memory injection techniques and allows you to address the increasing threat of fileless malware.